After doing this, head to websites that you are comfortable with, such as brides.com or davidsbridal.com just to name two for inspiration. This way, you will see and know what’s available in terms of styles, cuts, looks, and know the name of the designer for each dress style. Try and have a few dresses to pick from. Each designer cut is different so you might go through a few before deciding. 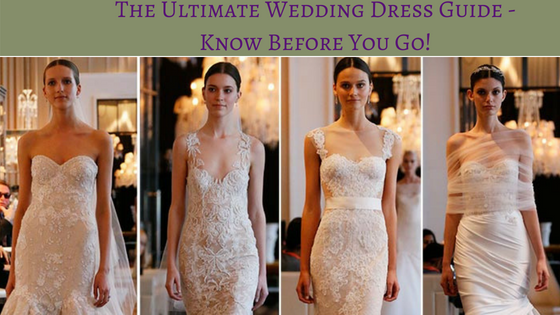 Start trying on dresses 12 months before your big day so you can order by six months, a deadline most salons require. This gives you enough time to make any adjustment if needed. Launched her bridal collection in 2012, Katie May, after designing her younger sister's wedding gown, which gained international attention from brides in search of a nontraditional backless gown. 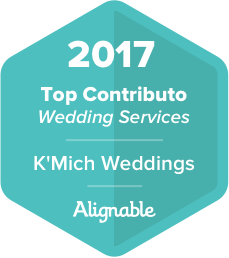 Since launching, her continual goal is to enhance the bridal experience by offering unparalleled customer care with sensually modern gowns. Cowl Back Crepe Gown: This curve-hugging crepe gown saves all the drama for last with a fluid cowl back that plunges superlow for a spine-tingling finish. Best wedding moment: When the rain cleared, the clouds parted and we had blue sky and sun for the exactly 45 minutes needed to conduct my Jackson Hole, WY outdoor wedding ceremony under an antler arch. The second we walked back down the aisle as husband and wife, the thunder crashed and everyone dashed for cover! Off the Shoulder Bell Sleeve Gown: Lovely shoulders are the real stars in this gown that makes a style statement with simple symmetry. Is a bridal and evening couture design house, which masters in the art of creating luxury dresses. Galia Lahav dresses are not modest rather extravagant and intricate in a beautiful design. With her famous illusion backs, cascading silk tulle skirts and Italian ivory lace, she has created a brand, which is a household name in bridal. All the dresses made in Galia’s studio are handmade by the top seamstresses in Israel and finest luxury sewing techniques. Eleanor: A long sleeve gown with a V-neck front. The back is a V-shape cut as well with lace embroidered flames facing inward. The lace flames travel from the shoulder line down to the train. The lace used on the gown is a special French lace displaying an antique crochet net and floral patterns. The dress has long lace sleeves with medieval ruffle details around the wrists, laced with a satin ribbon. The train is long made of sheer silk tulle trimmed with the ivory lace flames. Offers innovative designs created with fabrics of the highest quality to a growing market niche that did not identify with the product that was found so far. Adonis: This wedding dresses combination of tulle, lace, and spectacular strapless bodice exudes sweetness and sensuality.